Okay, I don’t believe any book should be thrown out…not even the books you don’t like. But some books actually outlive their usefullness – unless you’re an artist of extreme patience. 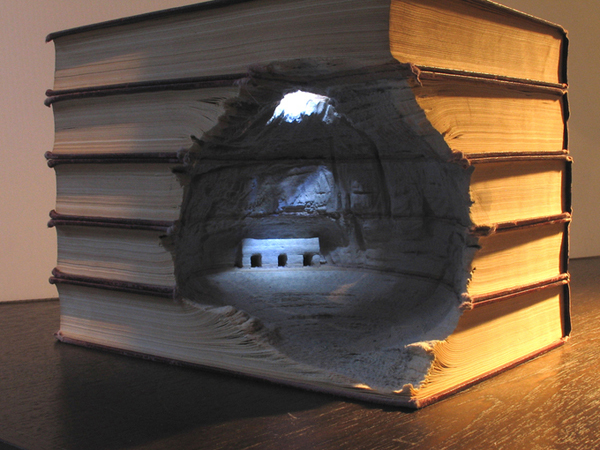 Guy Laramee is an artist from Quebec who painstakingly carves scenes into the pages of discarded books. Can you believe it? Check out the rest of his work here.